The holidays are among us, celebrate with a scavenger hunt! There are so many memories built around the holidays and traditions that we participate in that we will remember for years to come. Use the scavenger hunt that best fits your holiday and allow participants to find the items on the list either throughout their facility or home. 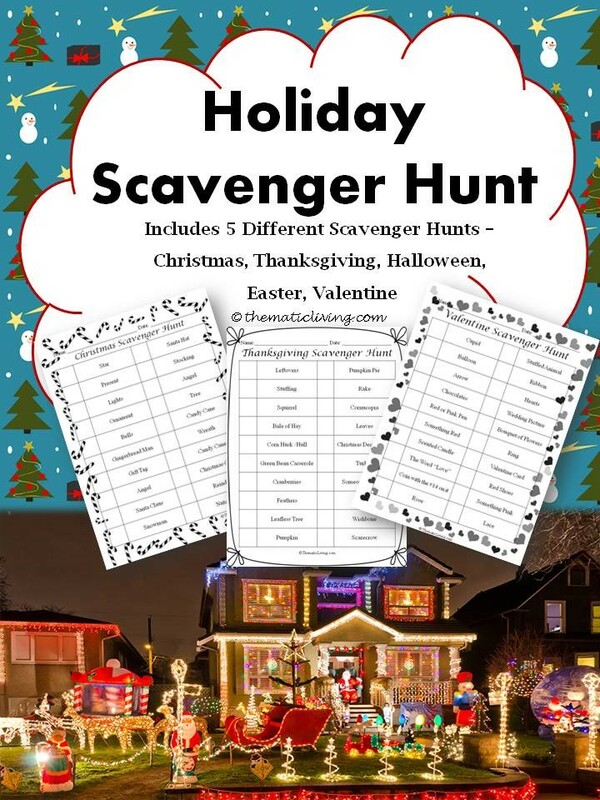 *Keep in mind that the scavenger hunts do not have to take place around the specific holiday – you can simply print a picture of a decorated house (Christmas, Halloween, etc.) and have participants “hunt” through the picture for the items on the list; this method is great for 1:1 sessions. What kind of traditions did you and your family participate in during the holidays? What other holidays have you celebrated? What holiday is your most and least favorite?